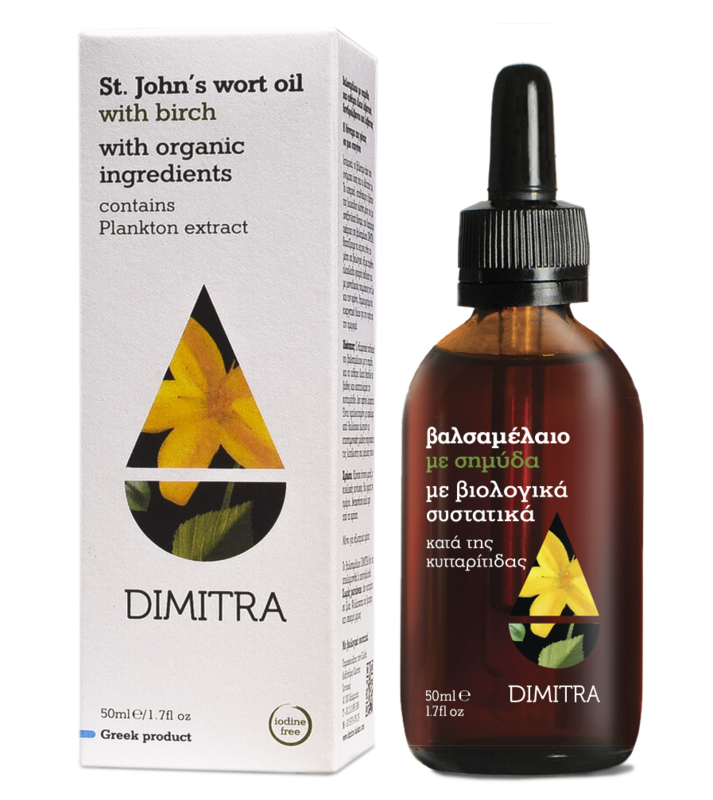 DIMITRA St. John’s Wort Oil with organic ingredients in combination with the incredible birch and essential oils of frankincense, rosemary and lavender combats effectively and naturally the edematous cellulite. The plankton extract is used to combat cellulite and targeted weight loss. The product has excellent results when applied in vigorous circular motions, twice a day, penetrating deep into the skin, therefore, improving blood circulation and encouraging the natural drainage of the lymph. The results are already visible after the third week of treatment, especially if combined with a diet rich in water and fruit along with some exercise. Thanks to its fine texture it is easily absorbed making your skin moisturised, soft and shiny.